The projects of the New Silk Road are like pieces of a puzzle scattered all across a clutter-filled room. You see some here, some there, but you don’t really think much of any of them in and of themselves. On their own, conventional perceptions of them tend to range from moderately impressive to downright mind boggling—why are resource-dependent nations building massive transport hubs in the middle of nowhere? It’s only when we start to connect the dots do we see how these these pieces come together to form a much larger picture of what global economics in the 21st century will become. Eurasia, the continental landmass containing both Europe and Asia, is rapidly being strung together into a contiguous market covering upwards of 65% of the population, 75% of energy resources and 40% of GDP in the world. In this light, speaking of individual New Silk Road projects is almost a wasted exercise. It's the network that's of significance--a network that's seeing diverse economies and political systems from China to Europe being put on the same page via a more or less unified initiative. This is something that has never happened before. That said, we can’t tell where the New Silk Road is going tomorrow by looking where it’s at today. We’re talking about formally remote and disconnected regions becoming linked-in hubs of regional logistics , resource-dependent nations cultivating new agricultural, manufacturing, and commercial potentials, and previously poor, under-developed economies reconfiguring themselves to become epicenters of production and innovation. When economies connect, economies change, and our paradigms of what these countries are and the roles they will serve in the future needs to change as well. A key requirement for the success of the Maritime Silk Road – which envisions linking China by sea with Europe by way of various Asian and African countries – is to keep critical sea lanes open and safe for shipping, said Deputy Prime Minister Teo Chee Hean. This means the transit passage through the Straits of Malacca and Singapore cannot be suspended or impeded, as these waters are crucial to connecting the Pacific and Indian Oceans. Vessels from all countries use the sea lanes as well. 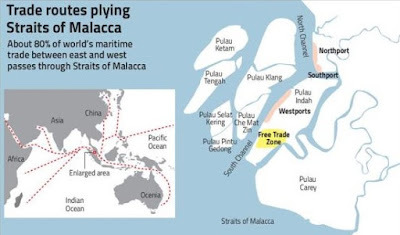 Also, the Straits of Malacca and Singapore hold the status of “Straits used for international navigation”, and passage through them is provided for in international law, he added. DPM Teo made these points in his opening address at the FutureChina Global Forum on Thursday (July 13), when he outlined Singapore’s position on the right of transit passage for ships and planes of all countries through the Straits of Malacca and Singapore. The safe & free flow of goods is key to realising the full potential of large investments that have been made to boost connectivity and transport linkages cross 4 continents under China's Belt & Road Initiative (BRI), said Deputy Prime Minister Teo Chee Hean. Delivering the opening speech at the FutureChina Global Forum on Thursday (Jul 13) morning, Mr Teo noted that much attention has been focused on the "headline-grabbing value & scale" of some large infrastructure projects along the Belt & Road. "However, China appreciates that realising the full potential of BRI involves more dimensions and layers," he said, adding that BRI's overarching concept is about boosting connectivity. 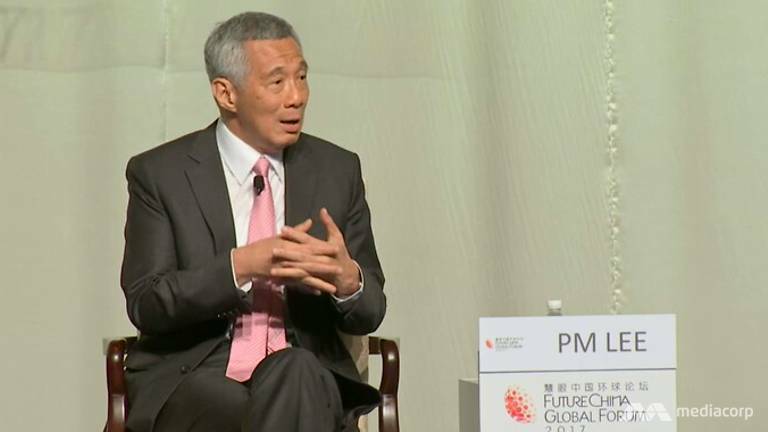 China’s Belt & Road initiative is a way for China to grow ties with the rest of the world in a "constructive" way, said Singapore Prime Minister Lee Hsien Loong on Friday (Jul 14). Speaking at a dialogue at the annual Business China Awards industry conference, Mr Lee addressed concerns that the initiative had prompted unease over China’s growing influence. “(China’s) influence is growing, it will have to be accommodated in the global system," he said to about 700 business & community leaders from China and Singapore. "The question is how, and whether this will be a stable, smooth adjustment, or a troubled & destabilising one." Deputy Prime Minister Teo Chee Hean yesterday reiterated Singapore’s support of China’s Belt and Road Initiative (BRI), while noting that both countries have made it a key focus area for bilateral cooperation. Delivering the opening speech at the FutureChina Global Forum yesterday morning, he noted that both sides are looking at how to enhance physical and digital connectivity, financial connectivity, as well as people-to-people connectivity. “We are an early & strong supporter of both the Belt & Road, and the AIIB (Asian Infrastructure Investment Bank),” said Mr Teo, adding that Singapore had joined 20 other countries as founding signatories of the AIIB agreement in Oct 2014. One important way is to ensure the safe & free flow of goods overland & across the seas, including the Strait of Malacca and the Strait of Singapore, he said. For this reason, "Singapore will continue to uphold this right of transit passage for ships & aircraft of all countries, and will not support any attempt to restrict transit passage to ships or aircraft from any country". He also said that working together to provide safe and unimpeded passage to all is a key prerequisite for the modern Maritime Silk Road. 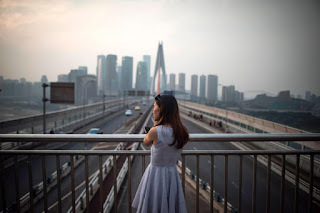 AMID the global rise of nationalism, China's One Belt, One Road (OBOR) - now renamed as the Belt & Road Initiative (BRI) - is a breath of fresh air, promising modern economic inclusion and connectivity. The modern Silk Road equivalent embodies a greater vision of regions connected across the world for mutual economic growth and development. Financial & economic integration is an integral element of the BRI blueprint, not only in enhancing China's trade and financial relations with participating countries, but also to provide the much-needed financial resources to support infrastructure finance - a key sector to stimulate global economic growth. With the speed up of connectivity between China & the modern Silk Road, another prominent benefit of BRI is the opportunity for renminbi (RMB) to play an even more active role after it has been included in the IMF SDR basket of Reserve currencies since October last year. In a remote nook along Peninsular Malaysia's east coast, millions of tonnes of sand are being dredged up from the South China Sea to get Kuantan Port ready for the country's priciest infrastructure project yet: a RM55 billion (S$17.7 billion) railway link financed by China. The East Coast Rail Line project (ECRL) will connect ports on the east and west coasts of Peninsular Malaysia & could alter regional trade routes which currently ply between the busy Strait of Malacca and the South China Sea via S'pore, officials say. This potential game changer gives a glimpse of China's ambitions to expand its economic clout in Asia and beyond. And it explains why land is being reclaimed at such a frenzied pace at Kuantan Port. The giant republic's aggressive investments in ports & rail links in Malaysia under its belt-road regional economic expansion programme is going to change the outlook for the island republic. China's current mega belt-road projects in Malaysia, once completed, will alter trade routes in the region & this may divert hundreds of billions worth of trade from Singapore, according to industry players. When China convened its Belt and Road Forum in Beijing in May, most of the attention focused on the initiative’s plans for transportation infrastructure across the Eurasian landmass and the Indian Ocean. 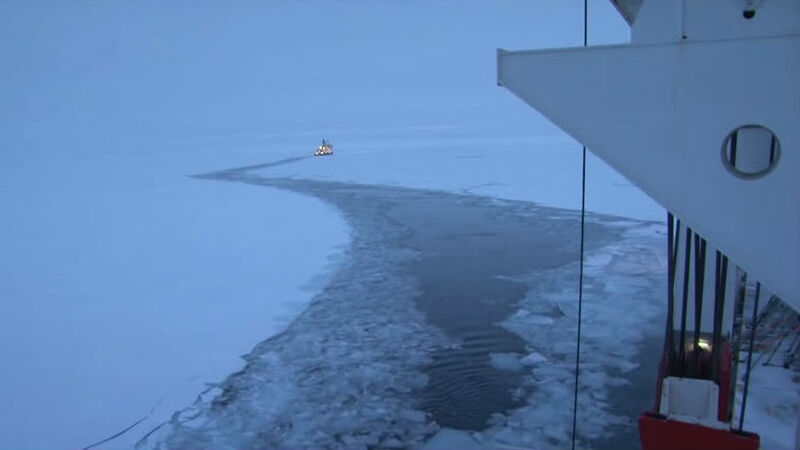 Since then, however, China formally incorporated the Arctic into its plans for maritime cooperation under the Belt and Road Initiative, also sometimes called One Belt, One Road. The oceans comprise the largest ecosystem on earth, contributing valuable assets for human survival and a common arena for sustainable development. As globalization and regional economic integration progress, oceans have become a foundation and bridge for market and technological cooperation and for information sharing. Developing the blue economy has become an international consensus, ushering in a new era of increased focus and dependence upon maritime cooperation and development. As the saying goes, "Alone, we go faster; together, we go further." Conforming with the prevailing trend of development, openness and cooperation, strengthening maritime cooperation contributes to closer links between world economies, deeper mutually beneficial cooperation, and broader space for development. Enhancing maritime cooperation also enables various countries to jointly tackle challenges and crises, thus promoting regional peace and stability. China advocates the Silk Road Spirit - "peace and cooperation, openness and inclusiveness, mutual learning and mutual benefit", and exerts efforts to implement the United Nations 2030 Agenda for Sustainable Development in the field of coasts and oceans. China is willing to work closely with countries along the Road, engage in all-dimensional and broad-scoped maritime cooperation and build open and inclusive cooperation platforms, and establish a constructive and pragmatic Blue Partnership to forge a "blue engine" for sustainable development. There are three distinct strands of opinions that Indian intelligentsia is now espousing. First, India did the right thing by avoiding participation in the summit, given that China is investing about $50 billion in the China-Pakistan Economic Corridor (CPEC), a highway project that runs through the Gilgit-Baltistan region in Jammu and Kashmir over which India claims sovereignty. Defenders of this ‘boycott line’ argue that India’s participation would have been construed as its surrender to Pakistan’s claim over that particular territory. The second strand of thought maintains that India should have actively engaged in positive diplomacy and used the summit as a forum to voice its concerns and differences. This school of thought holds that it was undiplomatic to boycott the conference and miss the opportunity to express the Indian viewpoint on the entire project. The third argument is in favour of involvement, meaningful participation and harnessing of benefits that the BRI would hopefully generate. This school of thought urges to take the economic might of fast emerging China as well as its proximity to India into consideration while operationalising the latter’s economic diplomacy. Chinese President Xi Jinping has promised to invest $900 billion in the next five years, mainly for infrastructure development on both the ‘belt’ and ‘road’ fronts. Clearly, China appears determined to employ this ambitious project not only to expand its pure mercantilism but also to exert its geo-strategic and geo-political muscles simultaneously. As such, it is natural for India to be apprehensive of losing its traditional sphere of influence as these two giants share the same neighbourhood with a bead of smaller nations between them. Is the Dragon Leading Us Into a New World Order? Why Singapore needs Mega Ports? Another Singapore Next To Singapore? Update 22 Oct 2017: IF SINGAPORE’S METRO IS IMPROVING, WHY THE DELAYS? Official data shows the reliability of Singapore’s metro network has improved threefold in the past two years, but tell that to ordinary commuters in the Lion City and you are likely to get baffled looks. Ask the republic’s public transport officials, however, and they will tell you the public are not trusting the figures because of sloppy journalism. Transport Minister Khaw Boon Wan in July said preliminary data showed trains travelled 393,000km on average before encountering a delay of more than five minutes in the first six months of this year, from an average of 133,000km in 2015. Singaporean commuters who spoke to This Week in Asia in the Lion City this week said their experience from daily commutes was not in sync with the data. “When you go home at 6pm or 7pm, at the back of your mind you are praying there is not going to be another signalling fault or track fault or train fault or door fault that is going make you late,” said one commuter. Over the weekend, Hong Kong newspaper South China Morning Post published two pieces discussing our MRT system. Both circulated quite widely on social media, with the first article totalling over 17,000 shares. In the article, “Southeast Asia specialist” Bhavan Jaipragas talks about how Singapore’s reputation efficiency is literally, going down the tube. Jaipragas mentions how Singapore’s MRT network, once touted as one of Asia’s best, has been dogged by major breakdowns and delays in recent years. Today it lags behind Hong Kong’s MTR and the Taipei MRT in reliability, he says, despite how the government has since spent hundreds of millions of dollars overhauling the network. ROLLING STOCK TO LAUGHING STOCK: WHY IS SINGAPORE’S METRO STRUGGLING, WHEN HONG KONG’S IS A HIT? The public scolding that Singapore’s public transport tsars handed down this week to a handful of rail maintenance workers over a large-scale breakdown is raising questions about where the buck stops in the management of the Lion City’s metro network, as rival Asian metropolises like Hong Kong and Taiwan pull ahead with superior train reliability. 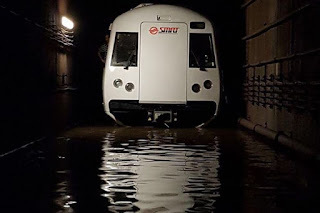 In a rare move, transport minister Khaw Boon Wan on Monday criticised workers in charge of anti-flood measures at the metro operator SMRT Corp, after an October 7 flood in a underground tunnel near the suburban Bishan station caused a near 20-hour disruption to parts of the rail network. It was one of Singapore’s worst ever rail breakdowns. A mechanism designed to remove stormwater from the tunnel failed to work because it was poorly maintained. Khaw said the maintenance team had “failed us”, and urged the metro operator to “nail down who [is] responsible”. “I look to SMRT to do what is right … something must happen to the staff,” Khaw said. 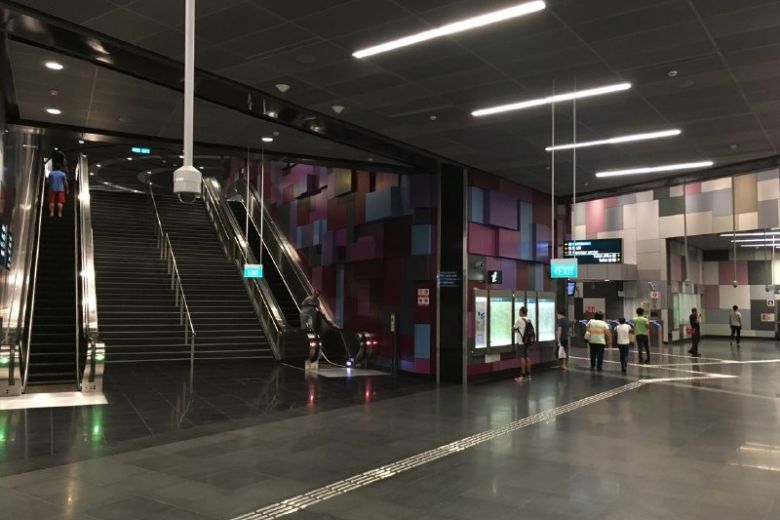 Commuters reported delays on the Downtown Line 3 on Saturday (Oct 21) just hours after the new line opened its doors to the public. On Facebook, some commuters posted fotos & said they were "stuck" at various stations including Bedok North station & Mattar station. SBS Transit's senior vice-president of corporate communications Tammy Tan told ST that a defective train was withdrawn from service at the Tampines West Station, which caused a delay of about 5 minutes. Commuters on the Downtown Line 3 on Saturday, Oct. 21, are reporting delays on the first day the line opens to the public. The commuters say they are “stuck” at some stations such as Bedok North station and Mattar station. The Straits Times reported that the delay is due to a train fault, and the defective train was pushed out. One train had stopped at Promenade station and moved only after 20 minutes. Commuters who were hoping that they would not experience service disruptions on the brand new Downtown Line 3 (DTL3) were sorely disappointed. Several commuters reported experiencing delays on the line that opened to the public today, following a soft launch last week and an official opening ceremony last night. Commuters who tried out the line during the soft launch also experienced train delays and were eventually instructed to alight trains and board bridging buses that were deployed to assist inconvenienced commuters. It is believed that the disruptions on the DTL3 today were caused by a train fault and that the defective train was subsequently pushed out. Several commuters travelling on various stations on the line, including Bedok North and Mattar stations, were affected by this disruption. Some posted that they were delayed for at least 5 minutes while others reported being stuck for about 30 minutes. Sunday’s (15 October) open house event for the new Downtown Line 3 (DTL3) went slightly off track due to a “train fault” that led to services being disrupted. At around 12.30pm, a track fault was announced in trains and commuters were requested to disembark at the Ubi station, said media reports. SBS Transit, which runs the Downtown Line, said in a Facebook post at 1.05pm that there would be “no train service between DT1 Bukit Panjang and DT5 Beauty World Stations” due to a “train fault”. Free bus rides were made available at designated bus stops near the affected stations. Mr Khaw, who is also the Coordinating Minister for Infrastructure, said this earlier today at the fourth joint forum on infrastructure maintenance organised by SMRT. He said that while under former Transport Minister Lui Tuck Yew, Singapore’s MRT trains travelled an average of 133,000km between delays of more than five minutes. But since the coming of the Khaw, this figure has “happily gone up to nearly 400,000 (393,000) train-km”. The MRT system's reliability has improved by 3 times since Mr Khaw Boon Wan moved to the Transport Ministry in 2015, but the minister wants to raise the bar much higher. Speaking at the 4th joint forum on infrastructure maintenance organised by SMRT on Thursday (Jul 27), the Coordinating Minister for Infrastructure and Minister for Transport said that in 2015 - the year he replaced Mr Lui Tuck Yew at the ministry, Singapore's MRT trains travelled an average of 133,000km between delays of more than 5 minutes. This is known as mean km between failure (MKBF). 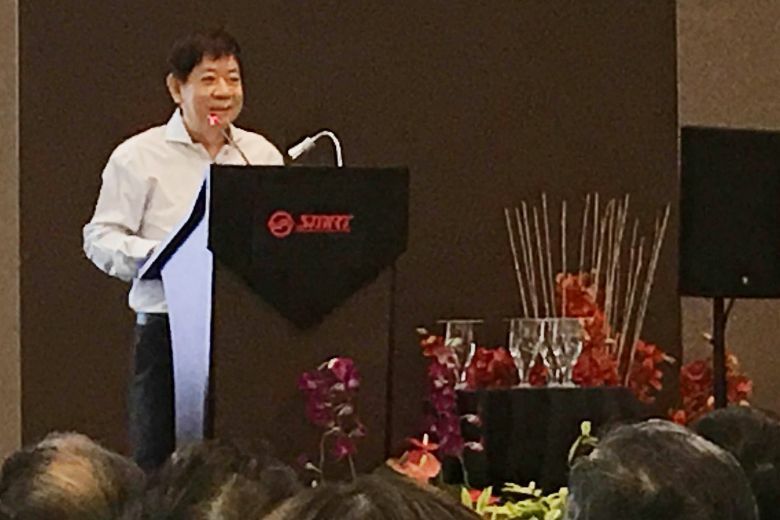 Speaking at the 4th joint forum on infrastructure maintenance organised by SMRT on Wednesday (Jul 26), the Coordinating Minister for Infrastructure and Minister for Transport Khaw Boon Wan said that Singapore's MRT is 3 times as dependable as in 2015. The reason? In 2015, MRT trains travelled an average of 133,000km between delays of more than 5 minutes. Now? It's 393,000km. Mr Khaw said these are satisfactory outcomes that have exceeded their target of 300,000 mean km between failure (MKBF). Rail operators have loftier rail reliability standards to live up to by 2020, with Transport Minister Khaw Boon Wan setting a new target for rail reliability in 2020 to improve seven times from 2015’s standards. The new 2020 target is 1 million train-km, measured as mean kilometres between failure (MKBF) or average distance trains can travel before hitting delays of more than 5 minutes. Speaking at the 4th Joint Forum on Infrastructure Maintenance on Thursday (Jul 27), Mr Khaw, who is also the Coordinating Minister for Infrastructure, noted that overall train frequency between delays of more than five minutes have risen from 133,000km in 2015 to nearly 400,000km as of the first half of this year, based on preliminary data which exclude the delays due to testing of the new signalling system. That is an improvement of nearly 3 times. Transport Minister Khaw Boon Wan is at it again. 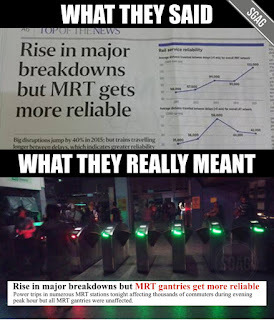 He’s gone and praised the MRT’s reliability, but this time he’s gone further — he’s also praised his own results. At a joint forum organized by SMRT earlier Thursday (July 27), The Straits Times reported Mr Khaw as saying that that the MRT system’s reliability has improved by three times since he took over from his predecessor Lui Tuck Yew. Of course, the minister had impressive figures to back up his statement. To an ordinary Singaporean affected by the numerous train service disruptions in the past months, it probably comes as a surprise that this is somehow an improvement in reliability. Mr Khaw was quoted by the Straits Times as saying that in 2015, incidentally the year that he replaced Mr Lui as transport minister, Singapore’s MRT trains travelled an average of 133,000km between delays of more than 5 minutes. Three times? 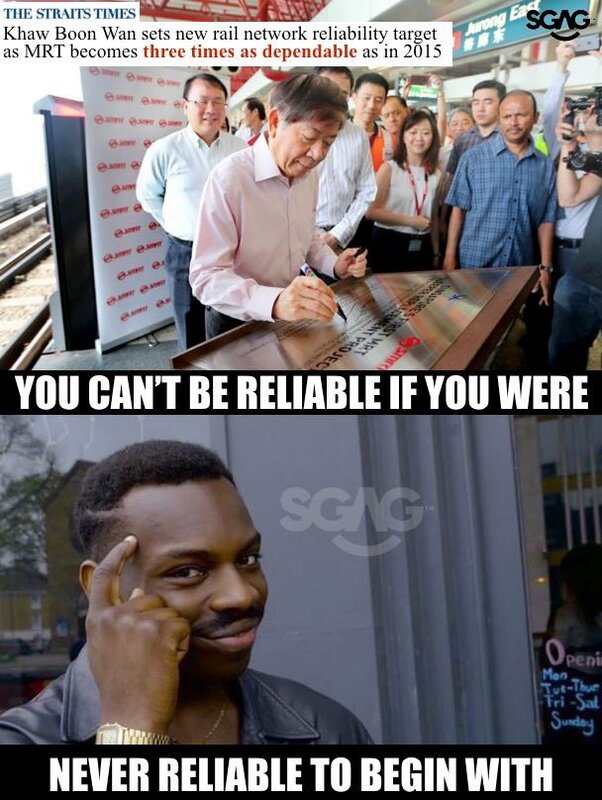 More like three times the waiting time lor!!! In his off-the-cuff remarks, Mr Khaw said resignalling was "a very complex" task. But the media, he said, "think it's so easy ... like holding a pen and writing a few articles, & get the signalling done". "I wish it was so simple. If it were so simple, they don't need us. We can ask the reporter to run the train system," he said to laughter in the audience. In response, The Straits Times editor Warren Fernandez said: "We are aware of the complexities involved in the resignalling process even as normal operations have to continue. We have reported on that, but we also have to report on the difficulties that crop up along the way, & the impact they have on commuters facing disruptions." Khaw Boon Wan Criticizes Mainstream Media For Doing Their Job. Transport Minister Khaw Boon Wan must surely win the 2017 Star Awards for best comedy performer after delivering yet another jaw-dropping performance. 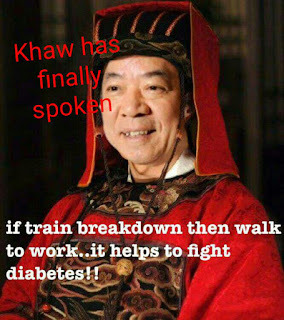 During the same press conference on Thursday (July 27) where he boasted that MRT reliability had tripled under his efforts, Mr Khaw lambasted the media for their coverage of the numerous MRT breakdowns. Naturally, The Straits Times (ST), which prides itself as the main media in Singapore, finds Minister’s remarks difficult to swallow. Its editor issued a response on the same day in defence. While this was going on, one service of the Bukit Panjang Light Rail Train was down due to a train fault. And a train service delay during morning rush hours had just happened on Tuesday (25 July). JULY 24 - A door obstruction at Newton station causes delays on the North-South Line during evening peak hours. JULY 20 - Temporary clamps that came loose near Choa Chu Kang station on the North-South Line cause delays of about 10 minutes at 5.30pm. A signalling fault later causes trains to stop in between stations for more than 15 minutes on the Circle Line around 10pm. JULY 19 - A train fault near Newton station affects service on the North-South Line. 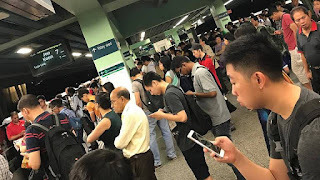 JULY 12 - A train fault and a track circuit fault cause delays of about two hours in the morning on the east-bound stretch from Joo Koon to Clementi stations. JULY 10 - A signalling fault causes delays between Queenstown and Bugis stations from 6.30pm to 8.30pm. JULY 7 - A train fault causes a 30-minute morning delay between Woodlands and Jurong East stations. JULY 5 - A train fault causes a 30 minute evening delay on the East-West Line. Ownself exclude ownself? It was noted by Mr Khaw that the MKBF "has happily gone up to nearly 400,000 (393,000) train-km” in the first half of this year (2017) based on preliminary data, and had also excluded delays arising from the testing of a new signalling system on the North-South line. The minister noted that all five lines had improved, with the star performer being the North-East line, which clocked nearly 1 million (978,000) train-km between failures. “This is a satisfactory outcome, against our targets of 300,000 MKBF this year, 400,000 MKBF next year and 800,000 train-km by 2020,” Mr Khaw said, adding that he set these targets last year against the best-in-class Taipei Metro, which clocked 800,000 MKBF. But by excluding the “delays arising from the testing of a new signalling system, we have conveniently evaded all the frequent and extensive delays that have happened recently. Does the Taipei Metro exclude delays due to certain reasons like what we are now doing in Singapore? Commuters affected by yesterday's shutdown of the North-South Line (NSL) had feared the worst when they were greeted by the sight of packed free bus services & long taxi lines during rush-hour traffic. So it was a relief to many when train services resumed about 10 minutes later, albeit at reduced speeds. Normal service resumed only at about 7.20pm, more than 2 hours after the line came to a standstill. 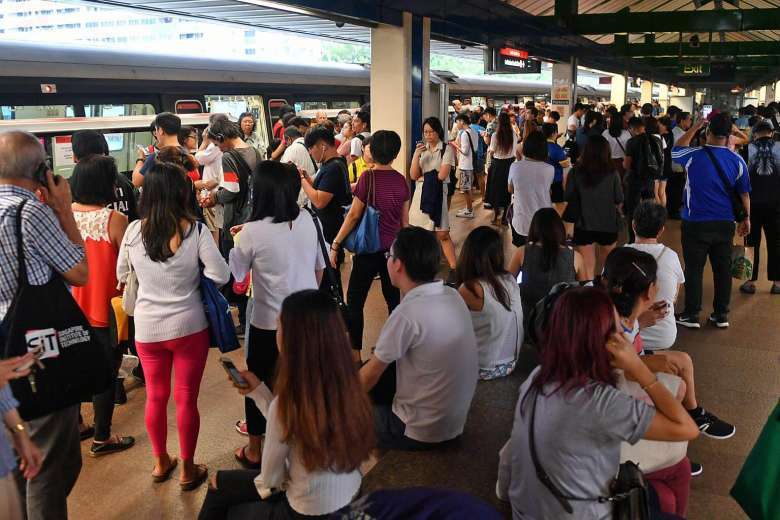 But with the shutdown coming on the back of Tuesday's delays on the North-South & East-West lines during the morning peak hours, commuters are feeling increasingly frustrated. Singapore recently saw a spate of breakdowns, and delays, due to signal faults. This has lead to a few disgruntled commuters setting up this petition. 421 signatures as of the time of this writing. Their goal is to reach 1,000 signatures. At 11.30am, train services between Queenstown & Bugis MRT stations on the East-West Line were halted for 30 minutes as traction power had to be switched off to enable engineers to access the tracks safely to fix the problem. Normal train service resumed progressively after the door was removed at noon. Yesterday's incident was the 9th reported delay affecting the train system this month, leaving transport experts concerned about the recent spate of faults. 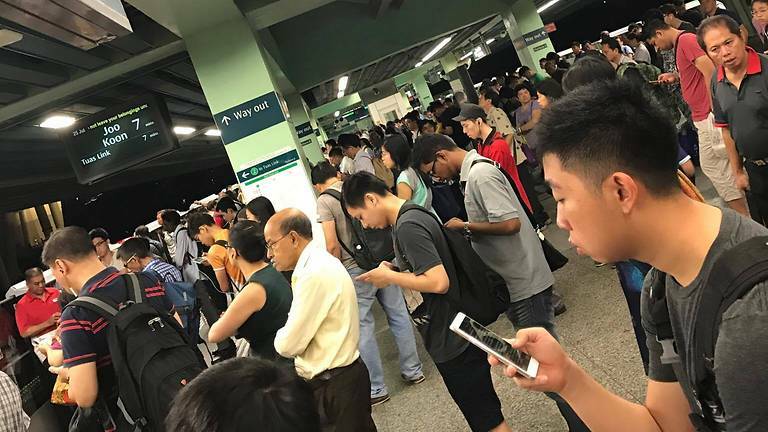 A “loosened service maintenance door” caused power faults and widespread delays on the rail network on Tuesday (Jul 25), as SMRT briefly shut services between Queenstown & Bugis stations for urgent repairs. The disruption led the Land Transport Authority (LTA) to direct the operator to carry out system-wide checks. The 11.30am shutdown in services, lasting 30 minutes, came hours after the power faults & a separate track circuit problem snarled the rush-hour morning commute on the North-South and East-West Lines (NSEWL). In a statement, the LTA said the cause of the “intermittent traction power tripping” on the NSEWL “was traced to a loosened service maintenance door next to the tracks in the tunnel near Tiong Bahru MRT Station along the East-West Line”. The faulty door has since been removed. The SMRT had earlier referred to a “loose panel” as the cause of the power faults. A loose door in the tunnel near Tiong Bahru MRT station caused power trips & delays for MRT commuters for more than 7 hours on Tuesday (Jul 25), and led to a brief shutdown of eight stations. The delays started at around 6am on the North-South and East-West Lines, & at 11.30am, train service was shut down between Queenstown and Bugis stations for 30 minutes for "urgent repair works". 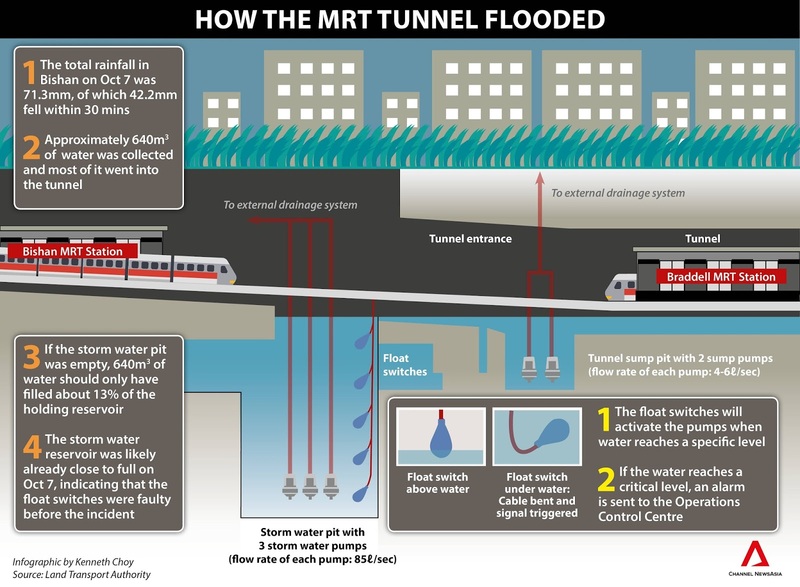 The cause of the power trip was traced to a loosened service maintenance door next to the tracks in the tunnel near Tiong Bahru MRT station, the Land Transport Authority (LTA) said in a statement on Tuesday afternoon. A malfunction in the platform screen doors at Botanic Gardens MRT station resulted in trains bypassing the station and a seven-hour disruption on Wed (May 3). Downtown Line operator SBS Transit said the doors malfunctioned at 5.45am due to a signalling-related fault, & could not open automatically. "Staff had to manually operate the doors whenever a train arrived at the station and this took some time which caused a delay to train services," a spokesperson said. 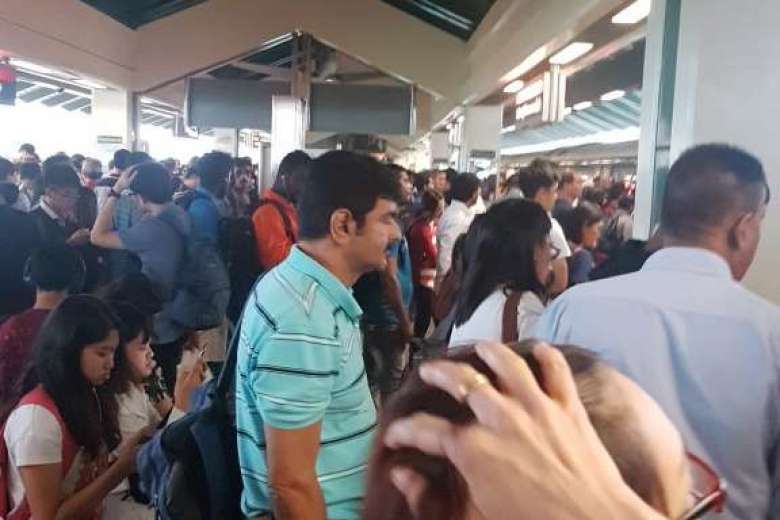 Commuters rushing for school and work on the North-South line (NSL) were met with an unexpected delay in their morning commute as they tried to assess the situation without any announcement by train operator SMRT. SMRT only made an announcement of the delay at 9.10, more than two hours or more since the delay occurred. Stating that the cause of the delay as signalling fault and asked commuters to cater for additional 20 minutes of travelling time. SMRT had earlier cautioned commuters on 26 May to cater for additional travelling time as its engineers resolve teething issues on the new signalling system for the NSL from 29 May. Train disruptions yesterday that affected tens of thousands of commuters on the way home during the evening peak hours were blamed on a fault in the new signalling system being put through its paces. 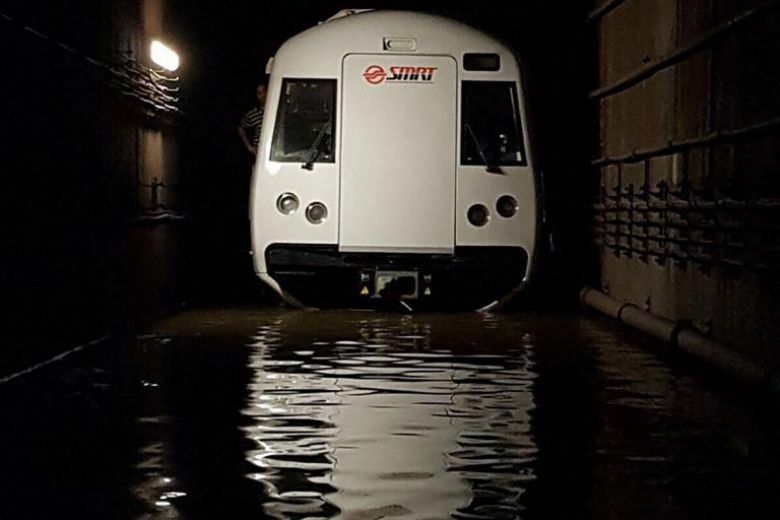 Train operator SMRT & the Land Transport Authority (LTA) said the system is expected to "take a few more months to fully stabilise". 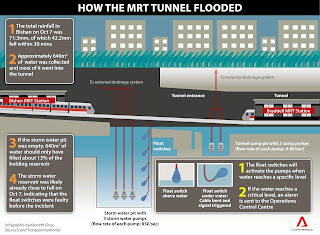 The North-South MRT line (NSL) went down after 5pm. While SMRT engineers were able to get the line up again within 10 minutes or so, trains were moving slower - by as much as 30 minutes & causing crowding at several stations. The North-South MRT line has been hit with a glitch on Friday (Jun 2), the 2nd day in a row this has happened. On its Facebook page, SMRT said: “Due to a signalling fault, North-South Line (NSL) train services in both directions between Kranji & Admiralty stations have been running at a slower speed since 5:05pm. “NSL commuters are advised to add about 30 minutes to their journey. Free bus & bus bridging services are available between Choa Chu Kang and Yishun. The East West Line of the MRT was hit by a delay due to a track fault on Wednesday morning (30 August), according to SMRT’s Twitter at 8.13am. Commuters were initially advised to add 10 minutes of train travel time from Jurong East to Redhill stations, with that delay subsequently extending to 15 minutes. According to SMRT, train service is still available. Under mounting pressure over transport inefficiencies and lack of transparency, former army general Chew Men Leong resigned from the Land Transport Authority (LTA) on August 6. His 22-month-long tenure as CEO was the shortest in the history of Singapore’s civil service. “[In the coming months] I will be making a change of career over to the private sector,” commented Chew Men Leong on his decision, but it is believed that his departure from LTA had been sped up by frequent MRT failures and public dissatisfaction with increasing fares. The failing system - Since gaining independence in 1965, Singapore has undergone a rapid urbanisation. The island city-state’s total area measures only 274 square miles and it is currently inhabited by 5,7 million people, making it one of the most densely populated territories in the world.